If you’re a frequent tablet user, you very well understand the importance of tablet stands. Not having one consigns you to holding up the tablet or looking at it flat on a surface. 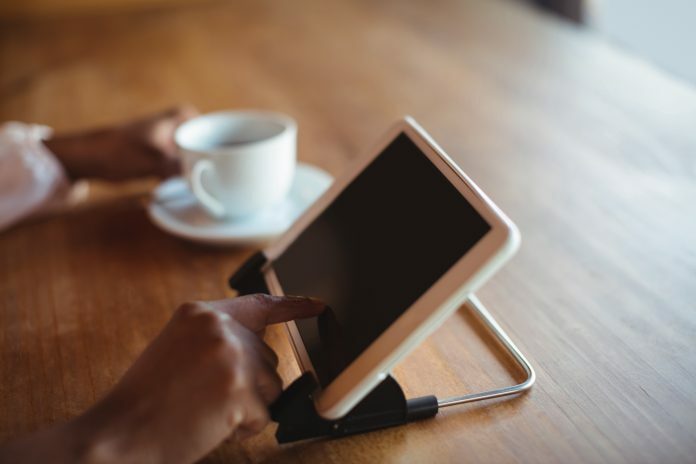 Most people will find this uncomfortable, and so after purchasing a tablet (or smartphone) will go in search of a great tablet stand that suits their budget and needs. After hours of research and lots of tablet-angle adjusting, we have decided on the top four stands of 2018. We have done the research necessary to give you a variety of models and price points to choose from. 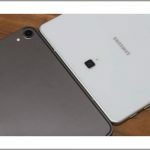 What kinds of tablet stands are there? The most common kinds are tabletop stands, stand-alone floor stands, and mounted stands. There are also some stands that can clip onto surfaces and be moved around with a “gooseneck” cord, much like a lamp. Where can I buy a tablet stand? There are plenty of options on Amazon, but you can also get them at many local electronics outlets. Sometimes mobile outlets will carry them, as well. There is also usually the option to buy from the tablet stand maker direct. How much do tablet stands cost? It depends on the material they are made out of and the size of the stand. Tabletop stands tend to be the cheapest. Floor stand-alone stands are the most expensive. The price can range from less than $10 to hundreds of dollars. There is a varied market in tablet stands. Frankly, there are even varied kinds of tablet stands, so we tried to take into consideration different tablet stand setups (table top, stand-alone, floor-mounted) in order to give a well-rounded view of what’s out there on the market. We also wanted to cater to a variety of different price points. 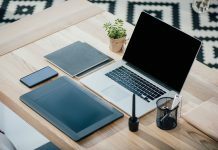 Some people are looking for a quick and easy way to prop up their tablet to the right level; others are looking to make a long-term investment. There are budget-minded tablet holders, and those that are definitely designed to last a lifetime. We tried out both kinds to try and serve the needs of our readers. We had an eye not just on price, but on value. Whether your budget is small or large, you want a product that will get the job done right and not fall apart on its first or second use. Even for the more budget-minded models here, they are made of quality that far surpasses their price. For the more expensive models, these are picks that we feel are certainly worth your money. Floor models and mounted models tend to be more expensive because they are made of higher-grade materials and much more material goes into the making of the product. The cheapest models tend to be made of plastic, while spending more money will get you a metal option. Paying more for a tablet stand will get you a tablet stand that lasts longer and probably is adjustable to a higher degree. Some cheaper tablet stands only come with one or two adjustment angles. The more expensive ones tend to have nearly 360 degrees of rotation so you could view your tablet upside down and backward if you wished. Again, the cheapest tabletop models will only work on flat surfaces, which makes them less convenient for using in bed or in situations where you don’t have a flat surface to place them on. Compatible with all Smartphones, E-reader and Tablets(6-11 IN), such as New iPad Air 3 10. 5" 2019, iPad Mini 5 7. 9" 2019, Galaxy S10e 5. 8", S10 6. 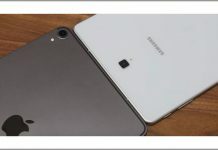 1", S10 Plus 6. 4", will not fit tablet / phone with a case or sleeve. This tablet stand wins out big for value: it’s less than $10. The only downside (or perhaps it’s an upside, depending on your needs) is that it’s a tabletop stand. This means that you won’t really be able to effectively use it in bed. But if you just need something to keep your tablet upright on a desk or table, this is a great bargain at the price. Reviewers love that it holds the tablet at such a nice angle and that it is so affordable. The Moko can support any device up to 8 inches, which makes it great for both smartphones and tablets. It folds flat so the portability value of the Moko is high. It offers great angle adjustments so you can make it work no matter how the sun is shining or what your preferred degree of comfort is. It comes in seven different color options. Lightweight and it can fit into the smallest purse or backpack slots. Rubber pads to ensure tablet protection. Incapable of holding smartphones or tablets with cases. On Amazon, the MoKo goes for an incredible $5.99. There is no warranty on the MoKo tablet holder. This simple tablet stand has a lot going for it in terms of function and design. 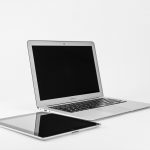 It’s adjustable for a variety of tablets and smartphones in many different sizes, which makes it a good choice for somebody who needs a holder for a device larger than what the MoKo can handle. The Amazon Basics holder can be moved to a variety of positions, and thanks to its design, it can handle tablets and phones both in cases and outside of them. It folds down for easy and compact storage. It has anti-scratch pads so your electronics will enjoy protection. Holds tablet in horizontal or vertical direction. No color variants for the Amazon Basics tablet holder. On Amazon, the Amazon Basics tablet holder is $8.99. As of now, the only place to purchase the Amazon Basics tablet holder is from Amazon. The Amazon Basics tablet holder comes with a one-year warranty. Stylish design - The sleek, aluminum body folds compact for Easy storage and portability while still offering tremendous stability to your tablet. Perfect for your classroom wall, office desk, or beneath your kitchen counter! Easy install - the stand's unique design accommodates three display modes: tabletop, wall, and under cabinet. For wall and under cabinet displays, this stand includes two easy-mounting stand cradles. Just fold the legs in and tuck inside for fast setups and takedowns! For those who would like to have a permanent tablet mount in a convenient area, this is a wonderful pick. It easily mounts to a wall or under a cabinet (or wherever you would like to put it), so that you can use your tablet hands-free in the kitchen or any other area. This was designed to help cooks utilize technology better, but we can see this being at home in an office. However, if you don’t want a mounted stand, you can also use it as a tabletop stand, as well. The CTA Digital stand mounts to the wall or any other flat surface. It comes with all required mounting hardware. It is made of attractive and hard-wearing aluminum. Collapsible to be easily portable. On Amazon, the CTA digital stand is $29.99 or $39.99, depending on color options. Amazon provides Prime shipping with the CTA Digital stand. You can also purchase it from CTA Digital direct. If you purchase from Amazon, you receive a 30-day warranty. Quickly spins from portrait to landscape so you can view your pages or photos at their best. Interchangeable platforms so you can quickly switch from electronic devices to books and magazines (book platform sold separately). Minimum height 30 inches, maximum height 56 inches (nice range) measured from floor to center of device. Height extension available for very high beds and treadmills. Compatible with all iPads, Galaxy tablets, Surface, Zoom, Nexus, Nook, Fire, and other tablets and eReaders measuring 8.5x11 inches or less, and weighing up to 4 pounds. Works great with or without cases. Attach and remove your device in seconds. For those who are looking for high luxury in their tablet stands, the LEVO Deluxe iPad Floor Stand has you covered. This attractive stand stands on the floor with wheels, so it can be easily moved around your house. It allows for easy tablet browsing anywhere, from your favorite chair to your bed. The LEVO Deluxe iPad Floor Stand is its own independent fixture and can be moved anywhere. The arm has many joints so it can be adjusted in endless angles for best viewing. It’s sturdy and dependable. Features a very attractive anodized aluminum finish. Price tag indicates higher price. 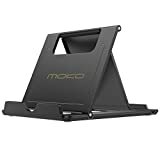 On Amazon, the LEVO Deluxe iPad Floor Stand sells for $189.99 and offers free shipping whether you are a Prime member or not. Amazon provides Prime shipping with the LEVO Deluxe iPad Floor Stand. It is also available direct from LEVO. There is a three-year warranty on the LEVO Deluxe iPad Floor Stand. Due to the amount of variation that goes into tablet stands, it was a challenge to pick just one. Particularly since the price range here and the functionality of the stands differ so much, you may just not have a particular need for a floor stand, or space for it. Or maybe having a tabletop stand won’t work for you since you want to be able to browse your tablet or smartphone with ease in bed. Overall, our favorite is definitely the LEVO Deluxe iPad Floor Stand. The quality that went into the craftsmanship of this piece cannot be overstated, and it almost looks like a piece of modern art when not being used for its intended purpose. The three-year warranty on it allows us to have confidence that our purchase will last for a long time and likely give us back tons of utility for the price. We also like that it can be easily transported from room to room. 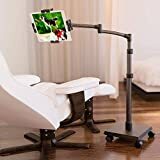 While we like the idea of a mounted stand, if you have a rolling stand you can just take it wherever you want, whether you want to watch Netflix in bed or use your tablet as a cookbook in the kitchen. Having the LEVO makes any tabletop stand redundant. Again, just roll the LEVO over where you want to view your tablet and you’re set. If you’re just looking for something cheap and reliable, the MoKo can’t be beat for the price. It will do what you need it to do, and since it folds down so small it’s very easy to transport outside of the house, which is one feature that the much-larger LEVO lacks.